This episode had the daylight savings blues attached, but director and fellow WAYO host Philip Frey helps right the ship; there are also bookend tributes to the late producer George Martin, often referred to as the "fifth Beatle." This episode nearly didn't feature a guest, until an appearance by WAYO co-studio lead Jarret Whetstone changes things! This Valentine's Day and birthday episode features actor-director Roger Gans, currently working on The Designated Mourner! This episode features Rochester Brainery co-founder Danielle Raymo, hitting a milestone as the show's first two-time guest! This episode followed Aspie Works' production of Ghost Light (with the host as playwright-producer), so there were no guests - but plenty of great music! Featuring Mr. Mister ("The Border"), John Mellencamp ("Check It Out"), Van Morrison ("And It Stoned Me"), Sara Bareilles ("Chasing the Sun"), Warren Zevon ("Searching for a Heart"), Bonnie Raitt ("Feels Like Home"), Boz Scaggs ("Lowdown"), Pokey LaFarge ("Actin' a Fool"), Susanna Rose ("Benediction"), The Men ("Another Night"), Bourgeois Tagg ("I Don't Mind at All") and David Bowie ("I Can't Give Everything Away"). This episode was recorded after Bruce Springsteen's visit to Rochester, featuring a recap from DVC founder and English teacher Mario Savastano! 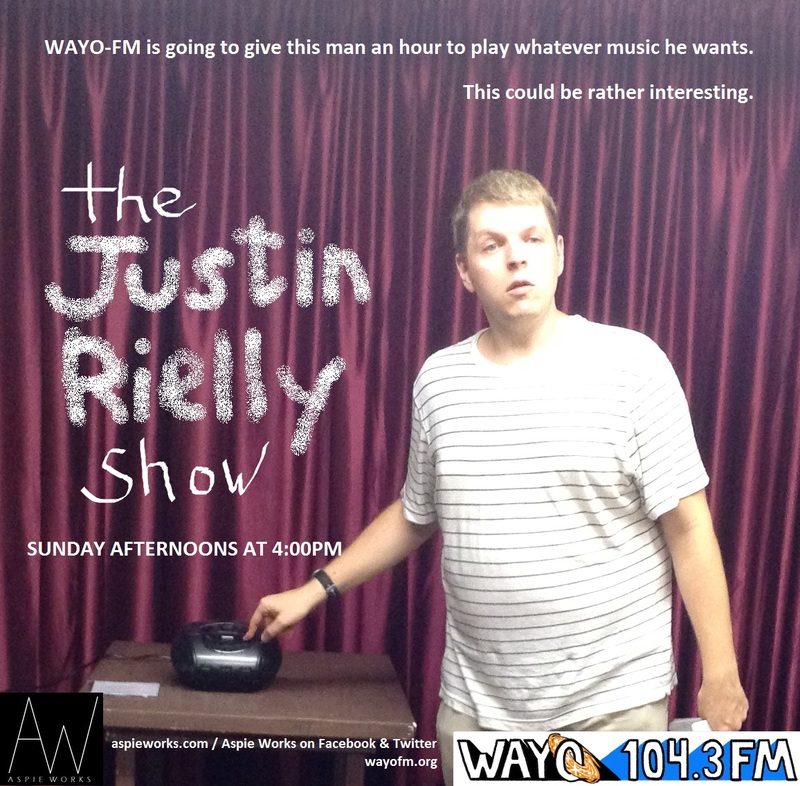 This episode of "The Justin Rielly Show" features director Cece McFarland and actor Brad Craddock of "The Shadow Box" - and a minor technical difficulty at the start of the show, but great guests and songs make up for it! This episode features a record number of songs played, and a rare top-of-the-show interview featuring special guest, Rochester theater legend Don Bartalo! The special tribute episode to David Bowie featured an interview with actor-writer-graphic designer Louie Podlaski and Justin's all-time favorite Bowie song! This is The Justin Rielly Show's first over-the-air episode on 104.3 FM, and is joined by special guests Chad and Courtney Barbe of the Small Fry Art Studio!